This is my first giveaway, and I’m very excited! I was lucky enough to be invited to do this by Zondervan. The book is “Half the Church” by Carolyn Custis James. This book looks at the way women are mistreated around the world in various cultures, including America, then questions… is this what God wants for His daughters? What does the Bible say about women? How does God see us? 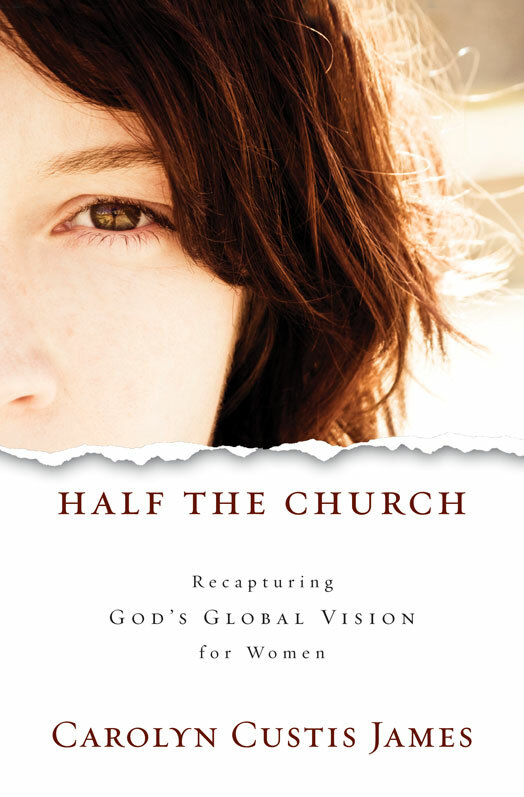 Are women, who make up half the church, living up to God’s expectations? I am reading this book now and my review will be posted after the giveaway, which will run until 4/3/11. I will personally be shipping the book directly to the winner, so I have to resrtict entries to the 48 mainland states of the U.S. The contest ends at midnight on 4/3/11, and I will post the winner after he/she has been notified. To enter, simply reply to this post with your thoughts on women in the church. Are we living up to God’s expectations? Is there more for us? This contest is over. Winner will be posted soon. :Drooling: I really want to read this book. No, we aren’t living up to expectations, particularly our own. I mean, as women we think we have to do it all. And we are tired. I don’t even know what our expectations should be anymore. I think it depends on which church you attend. I happen to be in a situation where the women’s role in the church is defined by men who think they are following the word. It is my view that these men are overstating the word and therefore denying women the use of God given gifts that should be used. It is difficult to live up to God’s expectations when men define them. In fact it is difficult even to understand what God’s expectations are because you are not sure whether you are or are not interpreting the word correctly when the men are so sure. It is so hard to keep going when you are a women under such rule. This is true especially when I think of how Jesus took great strides in the making of women’s importance and worthyness in ministry. If this book would help me break away from the confusion of where the lines should be drawn, I want to read it.